Size of this preview: 637 × 600 pixels. An ammonite of the genus Hoploscaphites taken by me on 3-13-05. This one is from the Pierre Seaway strata of South Dakota. Much of the original nacre (mother-of-pearl) shell is still intact. 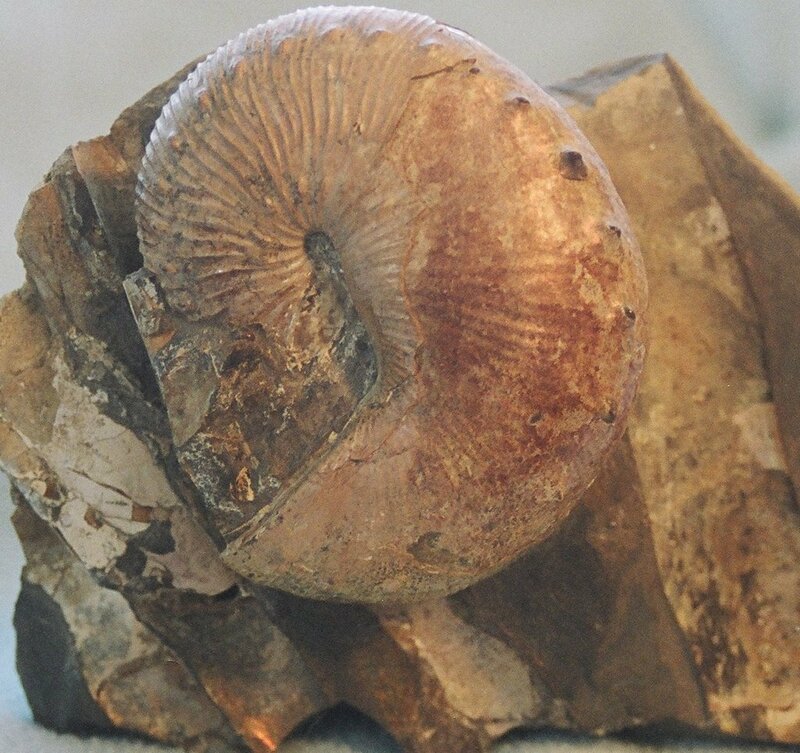 Ammonites are a type of extinct cephalopod related to nautiluses and squids. Though filename says Holoscaphites, this is wrong. Its Hoploscaphites. This page was last modified on 20 January 2007, at 19:03.